CVO BREAKOUT 110 cu in 6 speed HOT BIKE!!! Slammed and chopped style goes premium in the CVO™ Breakout®. 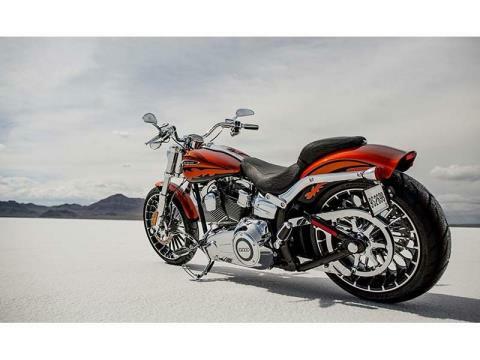 From stunning details and finishes to brawny power, the only thing low about it is its silhouette. The Harley-Davidson® FXSBSE CVO Breakout model is a premium custom motorcycle that mixes top-of-the-line features and detailing with a low, long and slammed power profile. 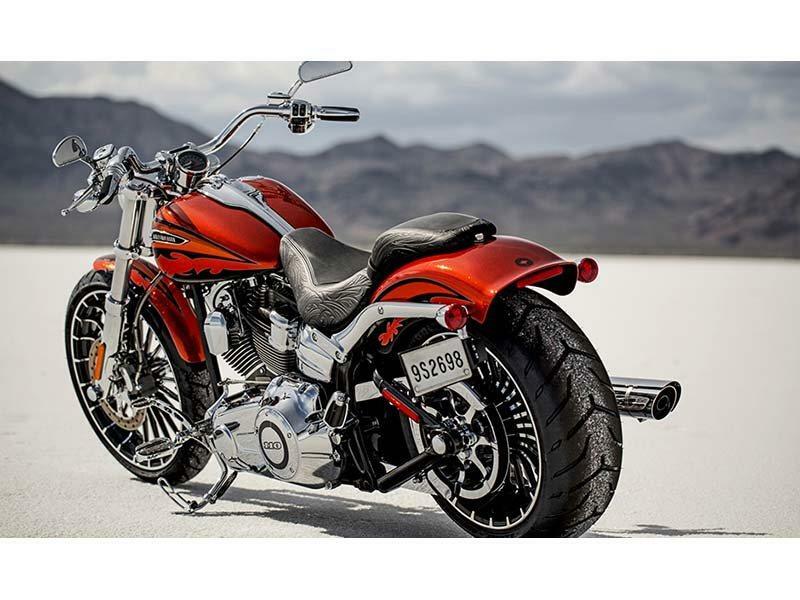 Individually crafted and hand-finished, high-impact paint and graphics come standard on this CVO custom drag motorcycle. 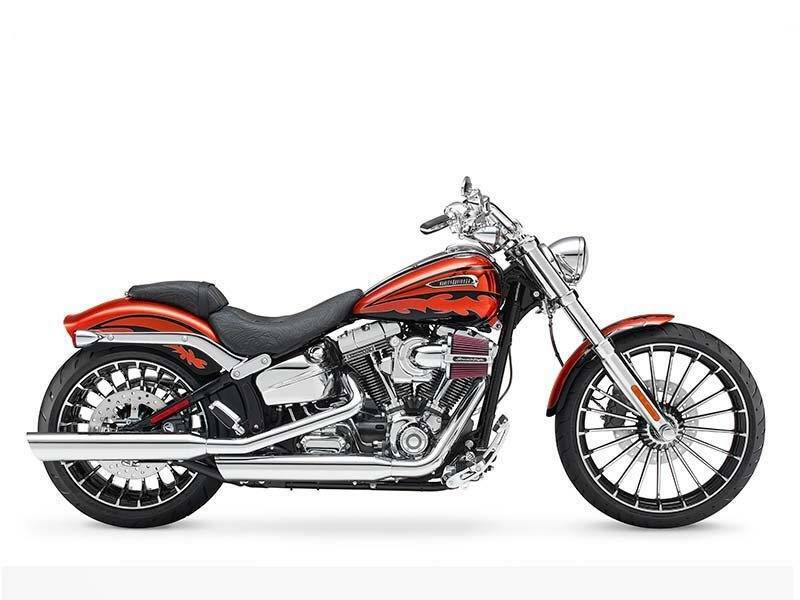 Driven by a powerful Twin Cam 110™ engine with 110 cubic inches of power, with a low cruising RPM for comfort and massive torque for performance, the Breakout Harley® CVO model is a street machine with stylish appeal. The Breakout FXSBSE model sports a high-end custom paint scheme in three color combinations with hand-polished metal finishing. The Harley-Davidson CVO Breakout model has a chopped, slammed custom style that's low, long and aggressive. 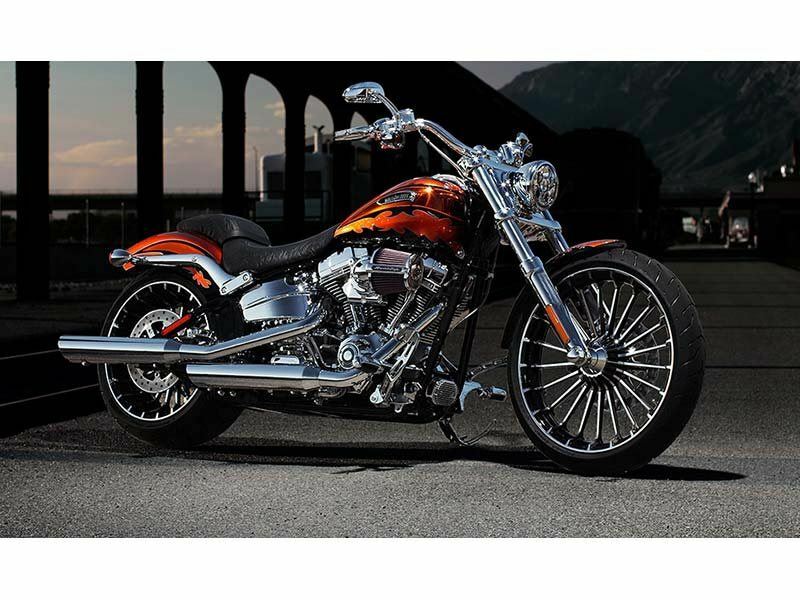 Its LED headlights, Elite Heavy Breather high-flow air cleaner and custom two-piece seat wrapped in an all new embossed tribal pattern are high quality features that add distinctive custom styling. 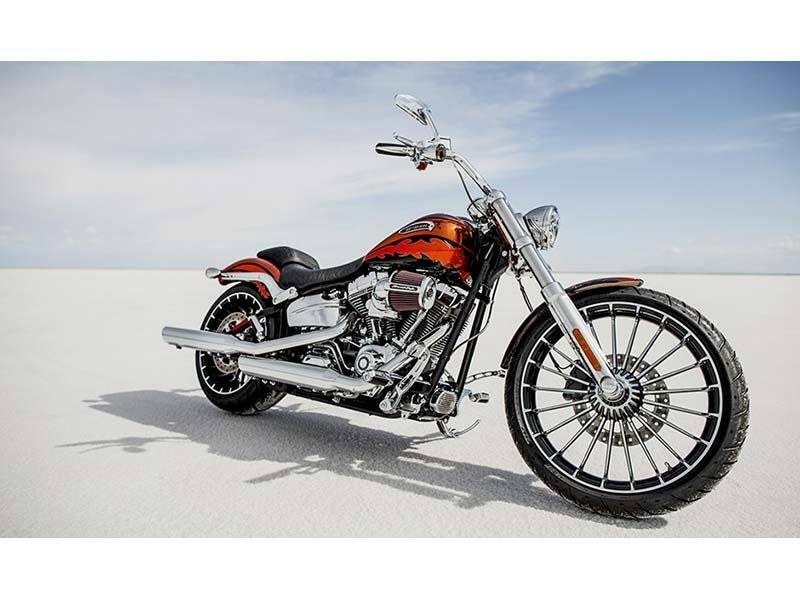 Learn all about it and the other CVO motorcycles, including the 2014 CVO Road King® model and the all-new CVO Limited.